Lipitor, the cholesterol drug manufactured by Pfizer, has been hit with many lawsuits alleging that the drug maker failed to notify the public about the drug’s dangerous side effects. Several lawsuits filed by women are making their way through the courts. Lipitor has been determined to increase one’s risk of contracting such ailments as type-2 diabetes and memory loss. A report conducted by Reuters found that the number of lawsuits against Pfizer has jumped from 56 to nearly 1,000 within a five-month span. However, this number could be grossly underestimated, as one lawyer who represents the women puts the figure at around 4,000. Miracle Drug or Corporate Money Maker? More than 29 million Americans have been prescribed Lipitor since the drug first hit the market in 1996. 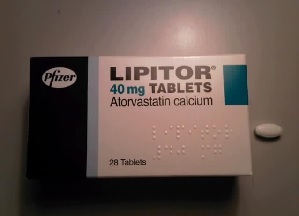 Lipitor has been hailed as a miracle drug for controlling the “bad” cholesterol levels in one’s body. Since its inception, Lipitor has raked in over $130 billion in profits for Pfizer, which is why the drug maker will use every asset within its power to make these lawsuits disappear. These lawsuits have continuously increased throughout the years since the Food and Drug Administration issued a warning against Lipitor, stating that it and other drugs like it have been shown to increase memory loss and the risk of diabetes. This risk seems more prevalent in women than in men. A federal judge recently consolidated the lawsuits, which the behemoth Pfizer has vehemently opposed. Unsurprisingly, Pfizer stands by the integrity of its drug and insists that the women named in the lawsuit may have contracted type-2 diabetes and memory loss by other means. The drug maker is preparing for any action taken against it by setting aside funds that may be used in the event that the court sides with the plaintiffs. Pfizer insists that the plaintiffs may have had other mitigating factors such as high blood pressure or obesity. A factor that is perhaps further complicating the lawsuits is that the FDA issued a warning against drugs such as Lipitor but also stated that such drugs have vindicating effects. With millions spent on ad campaigns over the years, not only is the potential pool of plaintiffs who have had adverse side effects while taking Lipitor expected to grow, but also the actual number of people affected by Lipitor. As the lawsuits make their way through the court system, your time to act is now! If you or someone you know has taken Lipitor and contracted type-2 diabetes or has suffered from memory loss, the team at Bruce Hagen Attorney at Law is here to help. You do not have to suffer in silence for fear of Pfizer. The dangerous side effects of Lipitor are nothing new, but these adverse side effects are just now coming into the light. Our team of well-trained lawyers has what it takes to ensure that you receive the justice you deserve.